Property sales - the end of the golden summer? 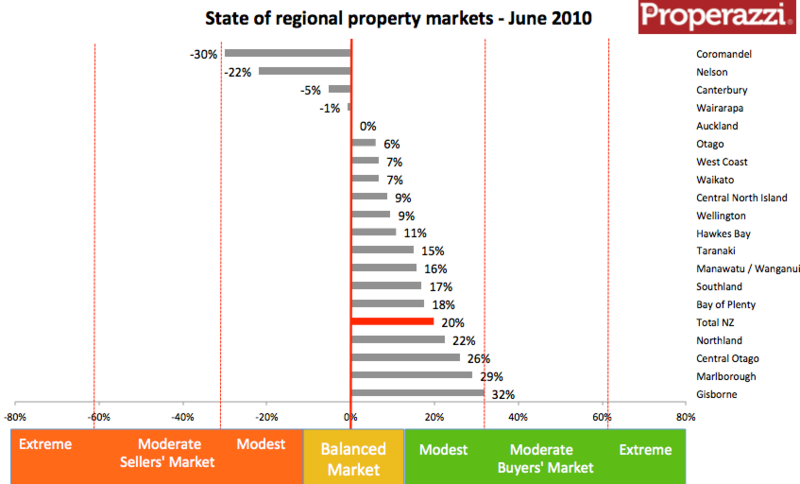 Residential property sales for 2013 totalled 80,119 as reported by the Real Estate Institute. This total is down by a third from the peak of sales in 2004 when 120,000 a year was a more typical level as highlighted in the chart below which tracks sales over this last 10 years as measured on a 12 month moving annual total. The 80,000 level whilst clearly no where near a return to those heady days, is though up 50% from the lowest point of the market in early 2009. Sales have been in a steady and sustained recovery for a period of 30 months, the longest sustained growth period of the past 10 years, however that period of growth appears to be coming to an end as total sales appear to be plateauing at around 80,000. The past 2 months have seen the rate of growth turn negative as that plateau - real or imagined is reached. Where to from here is the key question and why is it, that the level of sales has not returned to the pre-GFC levels of 100,000+? The latter question is easier answered than the former. The banks and lending institutions are approaching residential property with a tighter control than they did in the mid 2000's, added to which property owners and prospective owners have come through the very real experience of property price falls, a phenomena that until recently was judged to be something that happened in other countries and to other people. A final consideration is that a significant portion of the sales in those early years of the first decade of the 21st century were a function of private investors keen to buy any property for rent based on the simple premise of banking the 'guaranteed' capital gain and writing off the 'paper loss' against tax. That approach to property investing especially by naive amateurs has been shown to be far riskier than was thought at that time. So what of the future? - are we really at the end of the golden summer in terms of sales volumes? - has the Reserve Bank and its rules around LVR's finally had the desired effect of constraining the market? To better understand this requires a closer examination of the state of the market matching supply and demand across the country and in the major cities. The level of inventory as an indicator of available properties for sale as reported in the monthly Property Dashboard based on the Realestate.co.nz NZ Property Report is a good guide however seeing the trend over a 2 year period provides a clearer picture. For this reason I have tracked the respective trends in sales volumes on a quarterly basis, year-on-year against the number of new listings over the past 2 years. 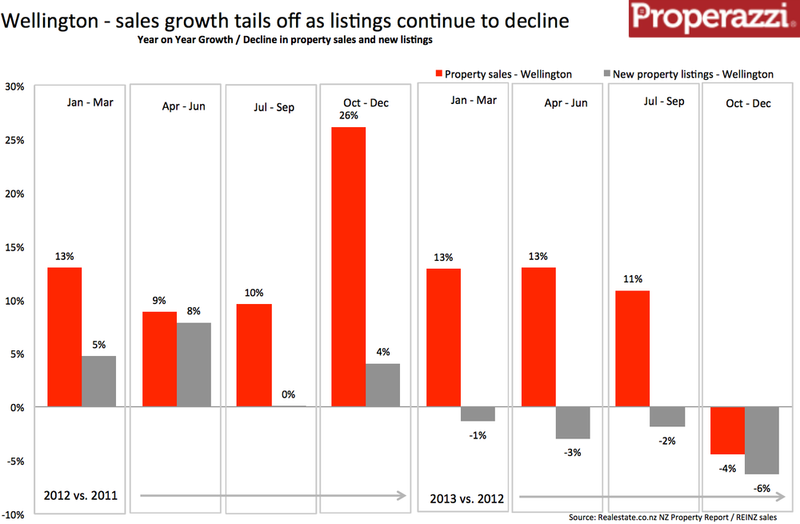 The red bars reflect the trend in property sales, with the grey bars the trend in new listings. 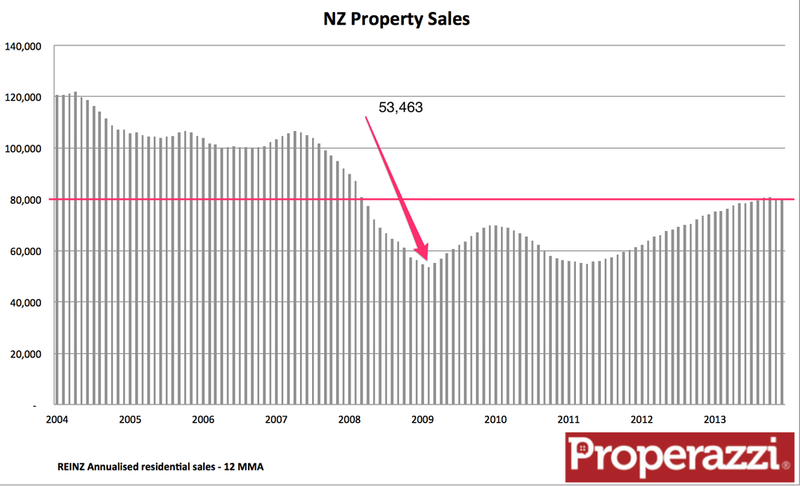 The picture for the whole of NZ shows the tailing off of property sales. 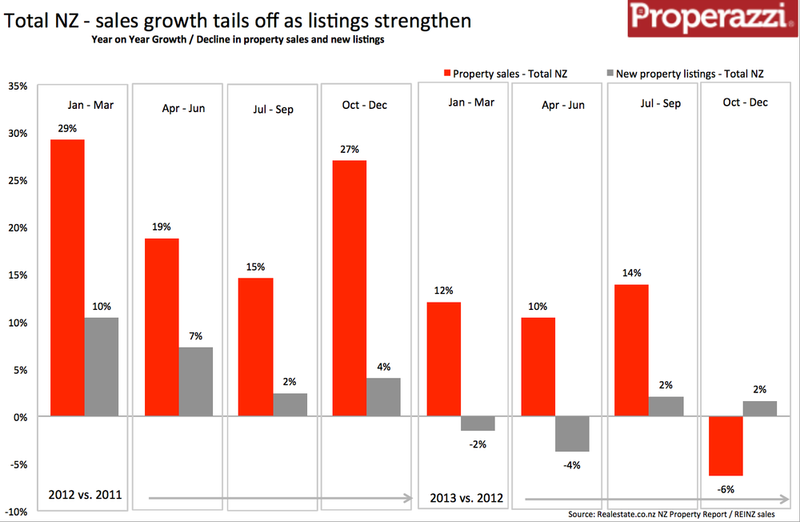 A year ago sales were up 27% against the prior quarter of 2011 with listings up 4% - in the last quarter of 2103 sales were down 6% whilst listings were up 2% - this would indicate as the intermediary quarters show, the market is lessening its tight grip as a sellers' market and entering a more balanced period - a period that should allow buyers to breath a bit more easily and require sellers to be more pragmatic to buyer demand which in the past couple of years they have taken for granted. Looking at Auckland specifically, the picture is somewhat similar to the national picture with this tailing off of sales whilst listings are shown to be growing albeit slowly thereby potentially allowing this heated market to cool significantly. The Wellington market equally is experiencing a tailing off of sales volumes, however what is most conspicuous is the consistent decline in new listings through the past year. For the past 4 quarters new listings have tracked below the level of the prior year and that decline accelerated in the final quarter to a 6% decline indicating that the market activity is declining and the market availability of new listings equally in decline. The Canterbury market is the one major city / region that is not mirroring the national trend. The market here is as anticipated, continuing to see a recovery with growth in listings and sales albeit at modest levels. This article and analysis is focused on property sales, the number of transactions. It is not about property prices, however they are inextricably linked and tend to follow the same trends with volumes leading prices, if as we are seeing a lessening of demand through a plateauing of transacted sales then that is likely that we will witness a lessening of pricing pressure which should have the effect of cooling the market, not necessarily leading to price falls but at least taking the steam out of the market.